Choosing the right kitchen style is one of the most important decisions a homeowner has to make — the kitchen, of course, is the ‘heart of the home’! A great deal of thought should be put into any kitchen remodelling project to ensure that the finished article balances style and functionality to match you or your family’s lifestyle. Knowing the key differences between the two can be a great help when it comes to making the decision. What is in a traditional kitchen? Normally decorated in muted, pale colours, this type of kitchen is designed to be more homely and welcoming than their modern counterparts. 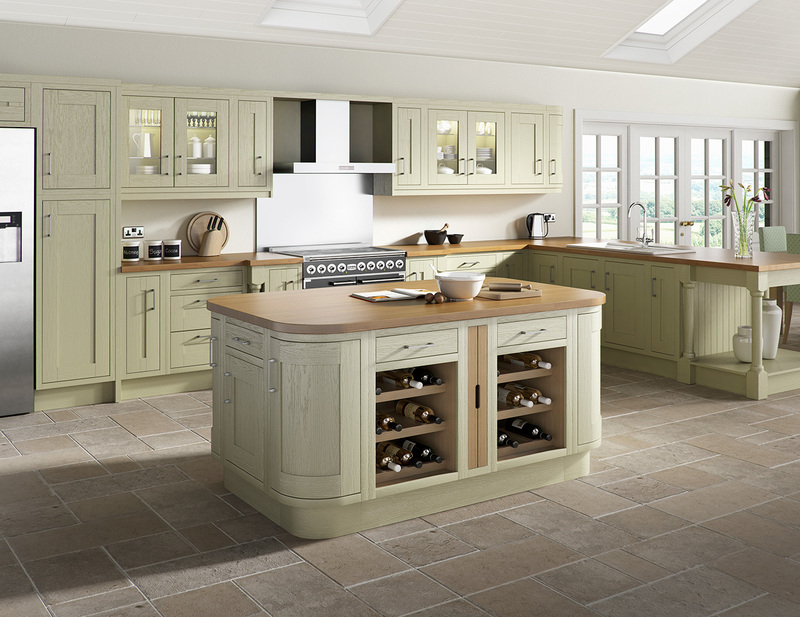 Time-honoured design and heritage are in abundance with a traditionally-styled kitchen. Simple and versatile shaker door designs make a frequent appearance. This type of kitchen is built to stand the test of time; a well-designed traditional-looking kitchen wouldn’t have looked out of place in the decades preceding, nor will it for years to come! In terms of storage, this will typically be closed-off spaces rather than open-plan. And, when it comes to kitchen appliances, these will more likely be stand-alone items laid out along the worktops and tables, rather than built-in or hidden within the kitchen units. This gives the impression that the kitchen is constantly in use, and adds to the homely look and feel. What is in a modern kitchen? 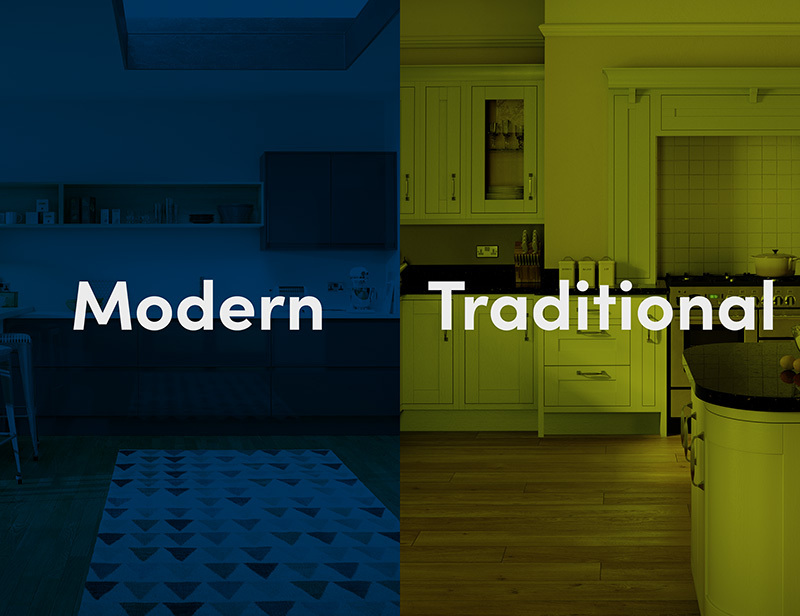 If you are looking for a sleek, bold design in your kitchen, look no further than a modern design. Unlike the more reserved palette normally seen in traditional kitchens, with a modern kitchen you have more leeway to be much bolder and choose striking colours for the decor and units. Functionality in a modern kitchen is a key aspect. Making the most of the space available is important; with this in mind, up-to-date consumer technology plays a big part in designing the layout of the room to ensure you can move around efficiently. Built-in, ‘smart’ appliances are a common feature. From larger white goods such as refrigerators and dishwashers to the smaller gadgets like wine coolers and coffee machines, you can choose from a whole host of the latest innovations to create a space truly suited for your needs. By having these elements integrated into the furniture the kitchen develop a minimalist, uncluttered aesthetic that has clean lines running throughout. Similarly, cabinets in the modern kitchen will steer clear of the panelled design and ornate handles found in traditional ones; instead, ‘slab’ doors without handles will be used. Wood, as a material for cabinets, is much less likely to make an appearance as well. In fact — for those that want to make even more of the space available to them, many modern kitchens are now moving away from cabinets entirely. ‘Open shelving’ is replacing them instead. Remember — when it comes to designing your ideal kitchen, anything is possible. Fancy a modern kitchen, but live in a 300 year old rural cottage? That can be arranged. 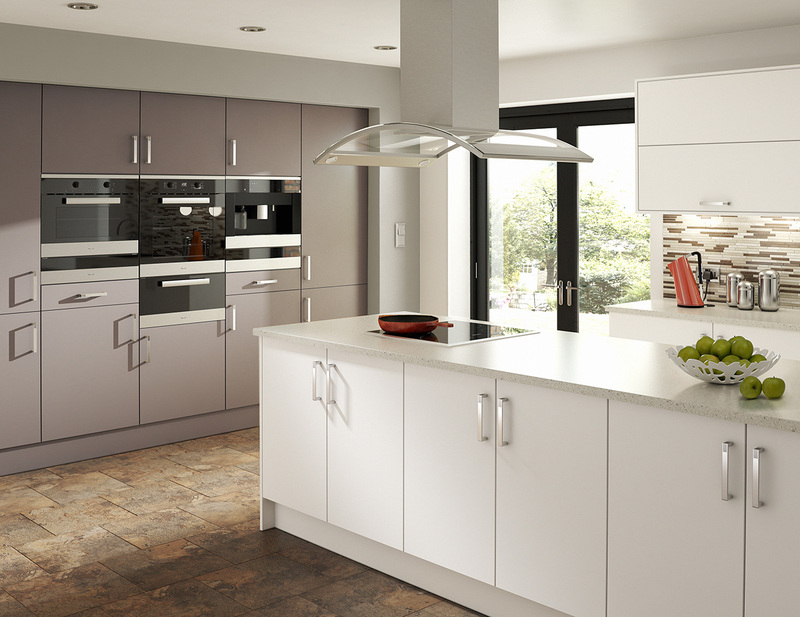 Or maybe you want a traditional-style kitchen but with the latest cutting-edge technology woven into it? That’s no problem either! At Cannadines, our bespoke (and free) design service means we can set you up with the perfect kitchen plan based on your requirements. We have fitted dozens of kitchens over the years in a variety of tastes and styles, and in spaces ranging from big to small. Find out more about our kitchen design process, and get in touch to book your design consultation today.